$57.65 In stock. Order in the next 2 hours, 4 minutes and it will go out today! Your spectator imagines an alarm clock sitting on their bedside table. They name any day of the week and any time (there is no force). You draw a clock depicting the selected time and day and ask your spec if this is what they imagined. 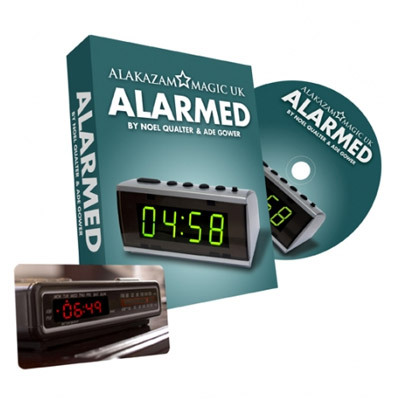 You now reach in to your pocket and remove a photo of an old style digital alarm clock radio. The alarm clock in the photo shows the exact time and day the spectator just thought of!